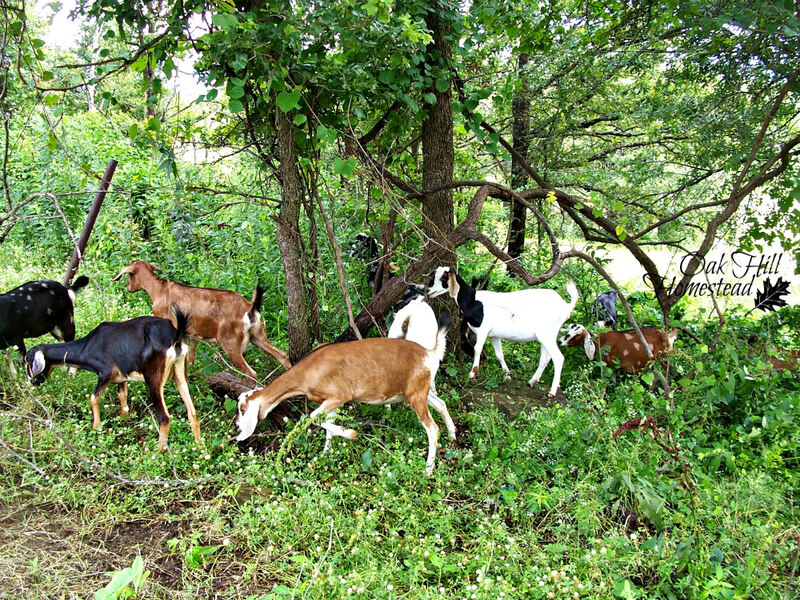 While chickens are often considered "gateway livestock," goats seem to validate our dreams of living a healthy, more sustainable life. 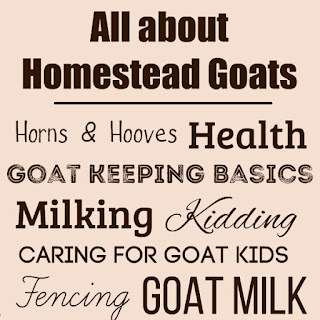 Goats provide milk, meat, manure for the garden, brush clearing services... it's no wonder they are popular homestead animals. 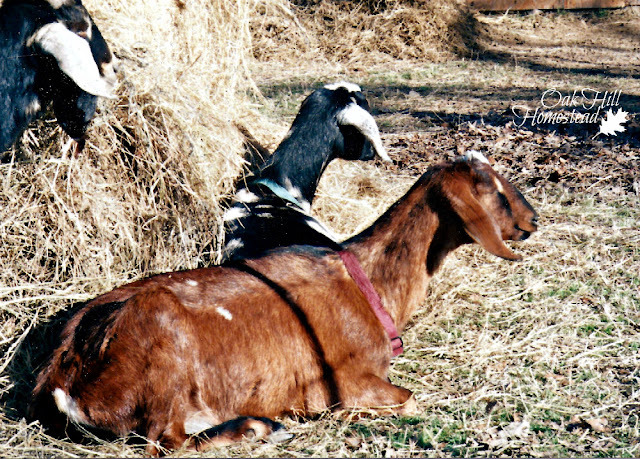 Goats come with a learning curve though, and sometimes it can be steep. 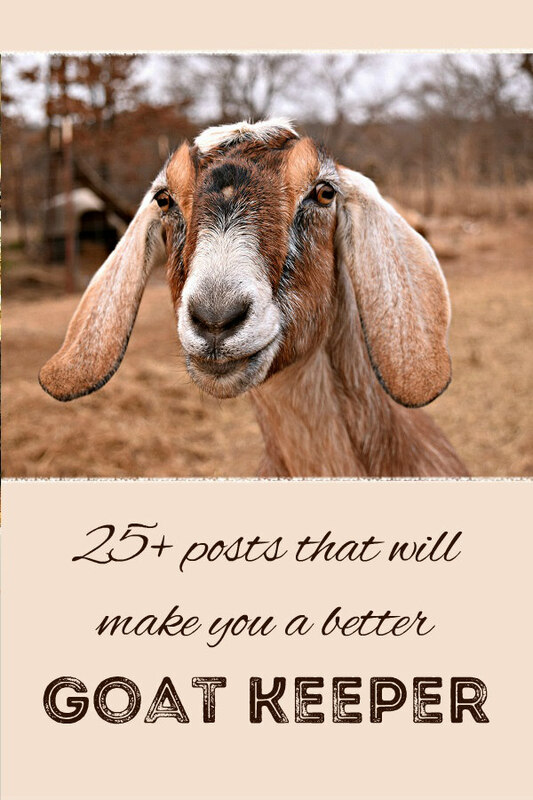 I've gathered all of my goat resources here in one place to hopefully straighten out the learning curve a bit for you. Scroll down to find them all by topic. Two years before we moved to Oak Hill, we added two weanling does to our one-acre suburban lot. I didn't have to think twice about which breed I wanted, those long Nubian ears won me over right away. A year later I bought Chloe, an Alpine doe. This time I was searching for a doe in milk rather than a certain breed. I had never milked a goat before, and I decided I'd better learn how on a goat who knew the drill instead of a first-timer. 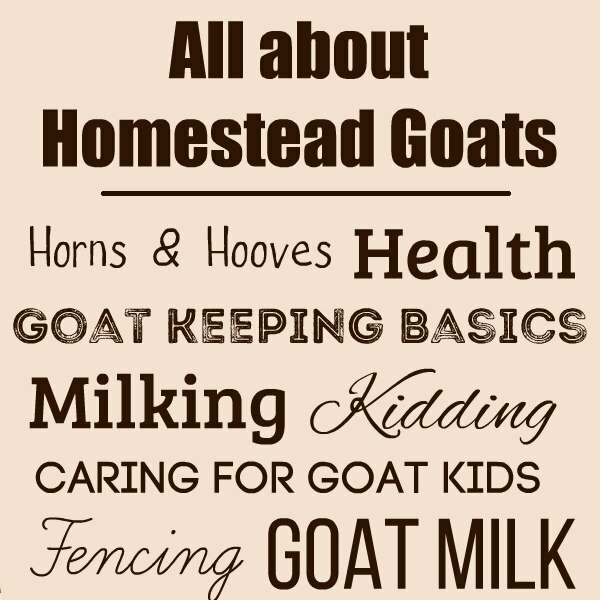 I'm so thankful I did that; it really helped me to be successful with my goats. We moved - with our three goats - to Oklahoma in 2004. I built up my dairy herd to sixteen by keeping the most promising doe kids. After I lost my herd in a barn fire in 2012, sweet friends gave me doe kids from their own herds so I could start over. 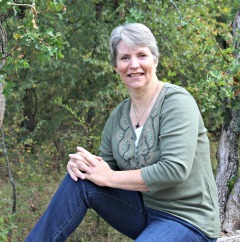 Those friends blessed me in so many ways, and I hope that I can pay it forward to you through my writing. 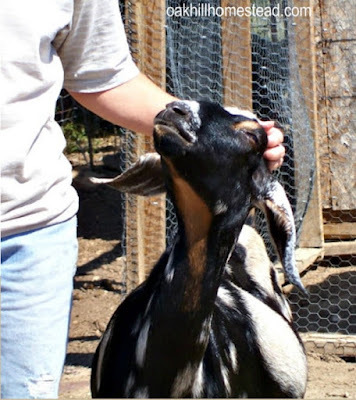 Even if you only have one goat - but you should have at least two, because goats are herd animals and are much happier with a companion - you need to keep track of the last time she was dewormed and vaccinated and had her hooves trimmed and was bred. Multiply all that by the number of goats in your herd and oh my, there's a lot to keep track of. 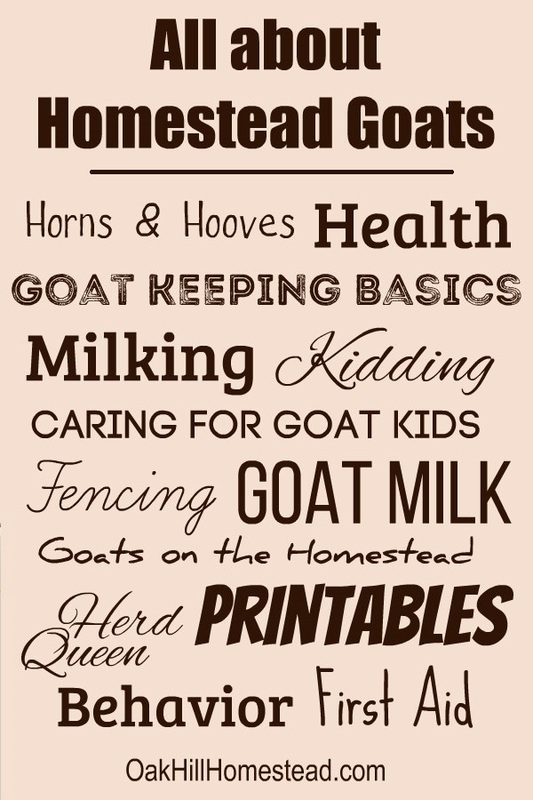 My set of goat printable forms will help you keep up with all the information about your small herd (or your bigger herd). 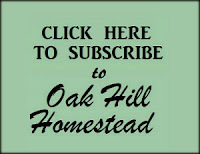 And the forms are free when you subscribe to the Acorn, Oak Hill Homestead's weekly-ish newsletter. Click here to get your free set of printable goat forms. Once you're subscribed, watch for my emails on Fridays. 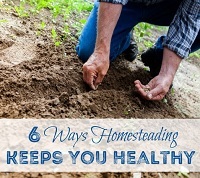 I'll share a bit of behind-the-scenes life at Oak Hill plus some tips on living life a little more simply and joyfully no matter where you live or what your circumstances. You'll also be able to share your suggestions for challenges, additional pages for the goat printables set, and so much more. 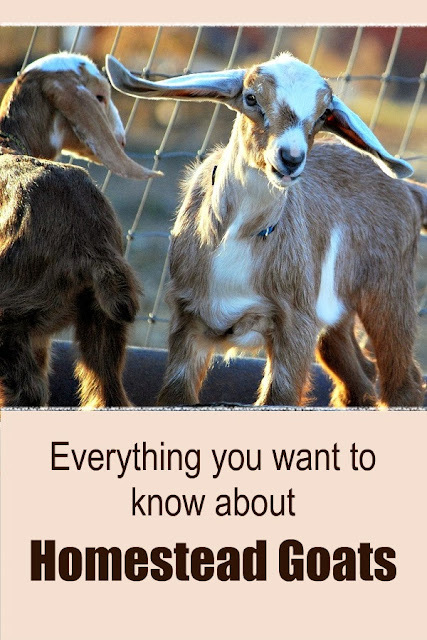 The articles below will help you keep happy, healthy goats, but if you have a question that isn't answered here, I hope you'll email me or leave a comment. 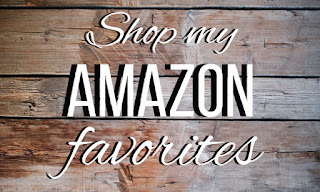 Please include your email address with your comment so I can contact you directly. If you have a question or a problem that isn't addressed here, feel free to contact me. 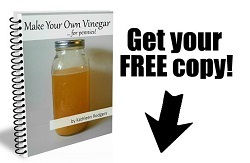 Please include your email address so I can contact you directly. They are fun, Lisa. I hope someday it works out so you can have a couple again. Goat are so fun! 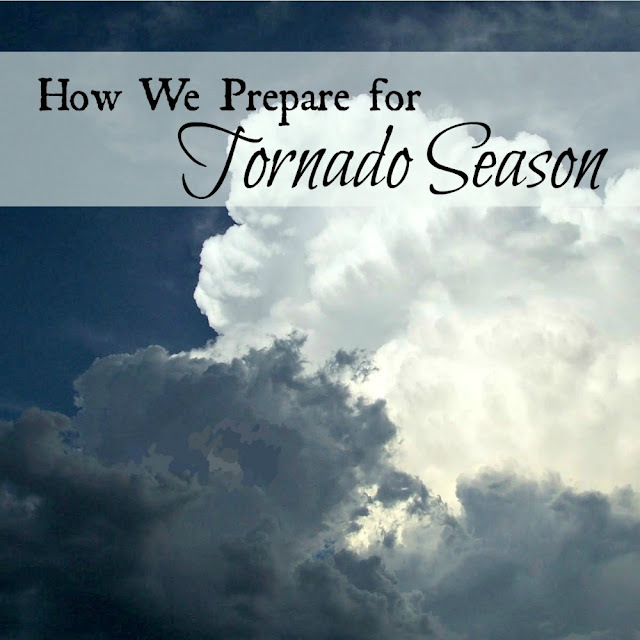 And this article is LOADED with info; pinning it now for future reference. :-) Thank you Kathi! 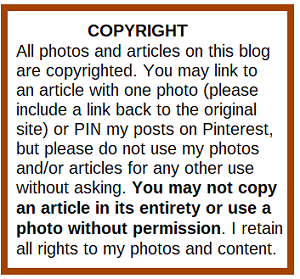 Wow, this is great information that I'm bookmarking RIGHT NOW. I have two Nigerian Dwarfs and while I'm pretty familiar with raising them, I'm always looking for more info. BTW, I LOVE floppy Nubian ears too! Those Nigerian kids are so tiny and cute!